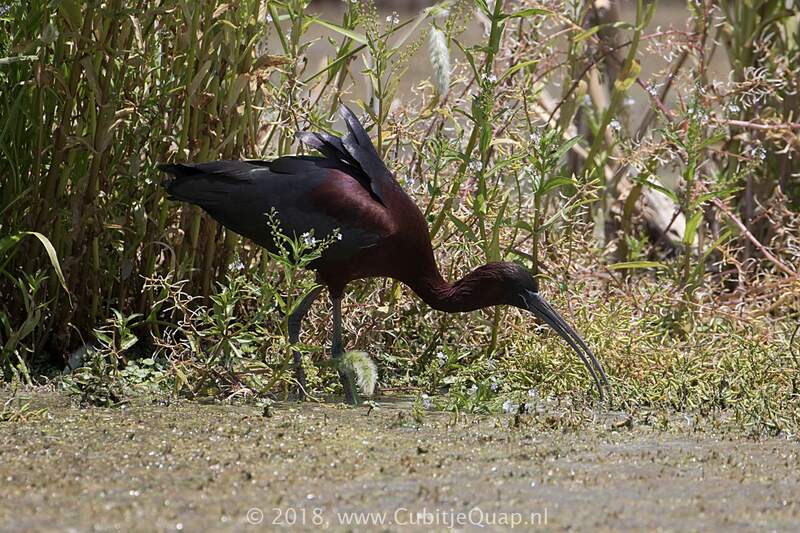 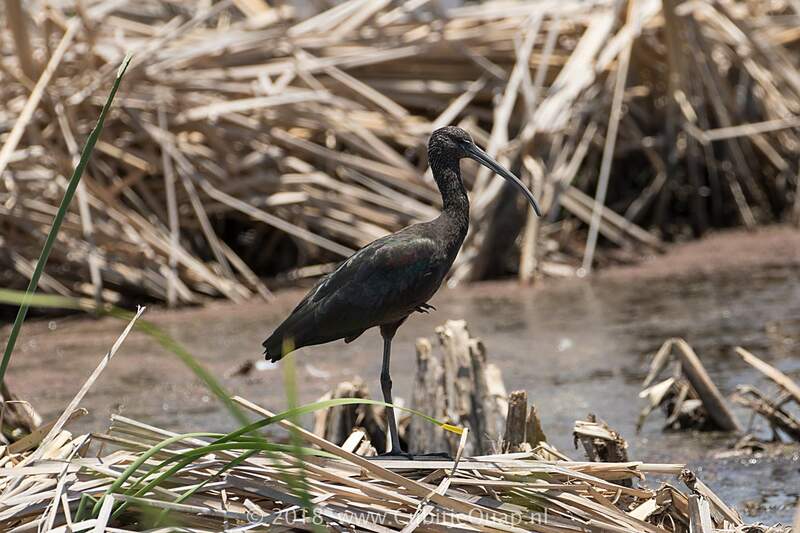 The smallest ibis of the region, it appears black when seen at a distance, but closer views show the head, neck and body to be a dark chestnut and the wings, back and tail a dark glossy green with bronze and purple highlights. 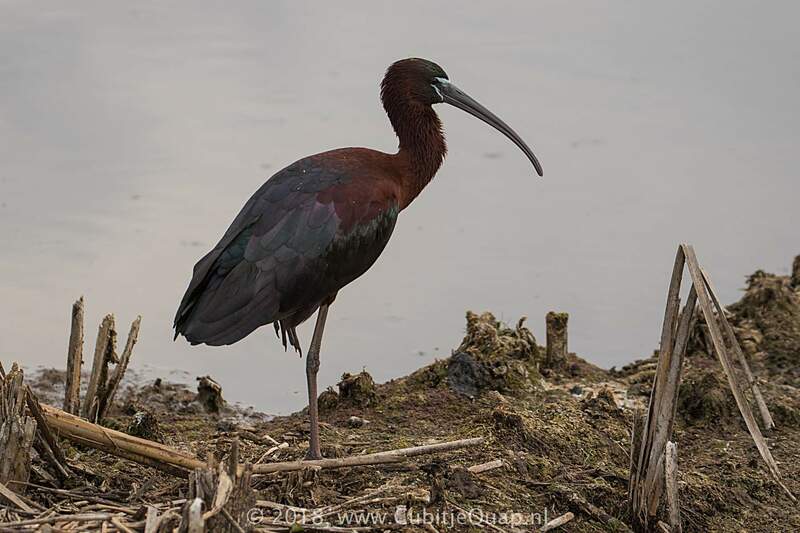 Breeding bird has white line at the base of upper and lower mandibles. 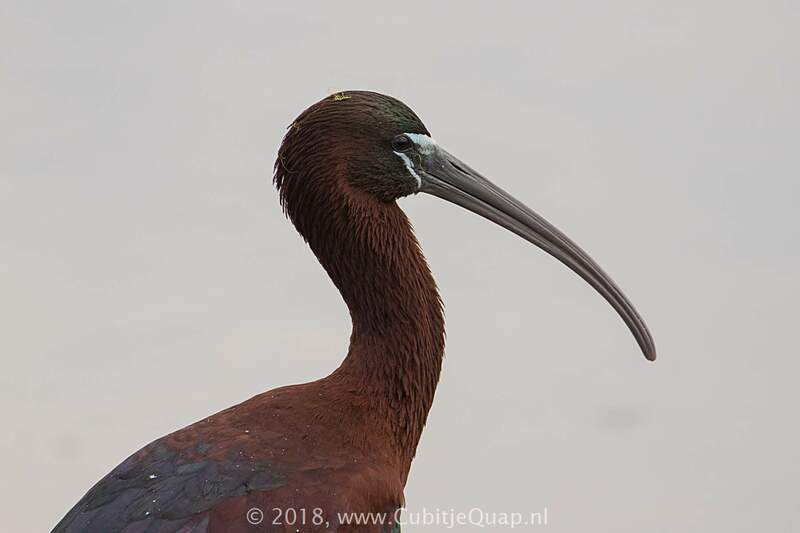 Juvenile and immature have the glossy areas of adult but the remainder of the body plumage is a dull, sooty brown; they may show a pale spot at the base of the bill. 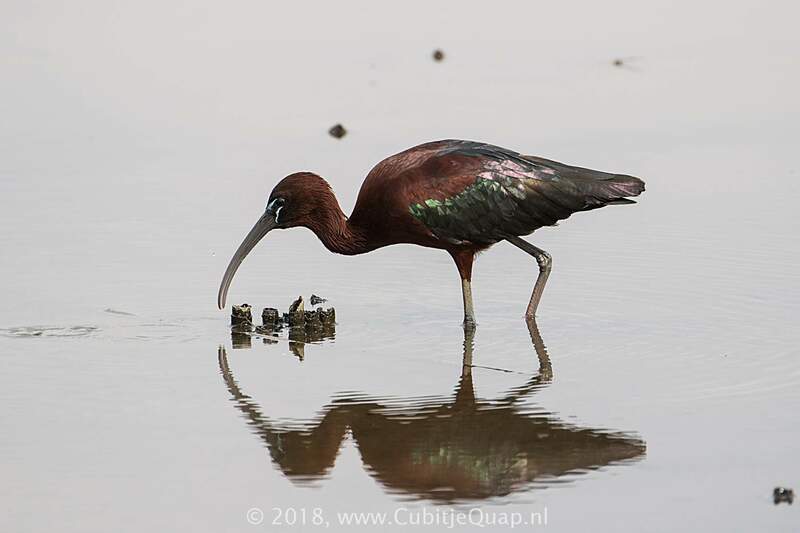 Normally silent; a low, gutteral 'kok-kok-kok' is given in breeding colonies.